Kldekari (Georgian: კლდეკარი) was a duchy (saeristavo) in mediaeval Georgia. Ruled by a powerful dynasty of Baghvashi, the duchy existed from 876 to 1103 in the southern Kvemo Kartli province, and, despite its small size, created particular problems to the Bagrationi kings who sought to bring all Georgian lands into a single state. 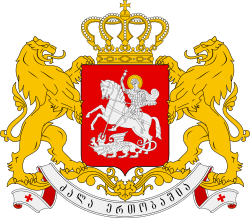 The duchy was established in 876 by Liparit I of the Baghvashi, who had been expelled by the Abkhazian kings from his fiefdom of Argveti in Upper Imereti. Liparit had found a shelter in the Trialeti province where he was allowed by the Iberian ruler (kourapalates) David I (876–881) to mount a strong fort called Kldekari (literally, the rocky gates) to control the roads cut through the cliff connecting the regions of Eastern Georgia with the southern neighboring countries and the Byzantine Empire. Having seized this key place, the Baghvashi family used their position to contest borders with the neighbouring principalities. The rivalry between the Baghvashi and the Bagrationi House of Georgia erupted immediately after the creation of the unified Georgian kingdom under Bagrat III. The latter prevailed and, in 989, forced the Kldekarian duke (eristavi) Rati I to abdicate in favour of his son, Liparit II. A descendant, Liparit IV, became a regent for the young Georgian king Bagrat IV in the early 1030s. Subsequently, relations between the two men deteriorated and flared into an armed conflict. With the military support from the Byzantine Empire, Liparit defeated Bagrat at the Battle of Sasireti (1042) and became a virtual ruler of Georgia, but eventually he was forced out by his own subjects in 1059. His son and heir, John, was allowed by the Georgian crown to succeed Liparit IV as a duke. In 1074, John revolted against King George II of Georgia, and attempted to get Seljuk support. However, a Seljuk invasion force temporarily occupied the duchy and captured the ducal family. David IV, a new and perhaps the most successful king of Georgia, forced the Baghvashi into submission in 1093, and checked their subsequent attempts to revolt. In 1103, he took advantage of the death of the last Kldekarian duke Rati III and abolished the duchy incorporating the area directly into a royal domain.